According to the 2013 State of Women-Owned Businesses Report, between 1997 and 2013 the number of businesses in the United States increased by 41% and the number of women-owned firms increased by 59%. 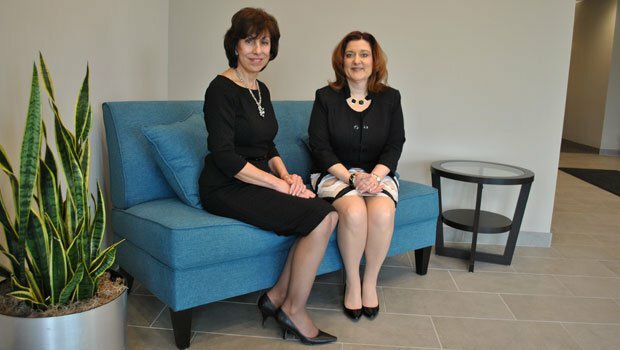 We spoke with employees at Staffing Solutions, one of ERC’s preferred partners, about women-owned businesses as a whole; from how to get more involved to gaining a better perspective from a young professional and a working mother. With a 59% increase in women-owned firms over the last 16 years, it is hard to ignore that women are emerging as business leaders today. According to the report, there are over 8.6 million women-owned businesses in the US, generating more than 1.3 trillion in revenue. Calta also says women are more comfortable today with not being a stay at home mother and instead want to be independent and go back to work. Naso says a lot of this growth is happening across many different industry segments; from healthcare and social services, to retail, IT, legal services and even manufacturing. “I think women are realizing if they’re passionate about what they do and feel they can make a difference then they’re willing to take the risk now and branch out on their own,” says Naso. Calta says the number one priority when starting up your own business is to do your research. She also strongly advises to never take shortcuts and to always network. For young professional women, things may be stressful when starting out. However, Jessica Morris, Marketing Coordinator at Staffing Solutions and a 2014 CCA Networking Rising Star of the Year Finalist and most recently a 2014 Movers and Shakers: Top 25 Under 35 winner, gave some great advice. Have open lines of communication with your boss. Dress the part, act the part. Thank those who help you along the way—even if it’s something small. Get involved and attend networking, industry specific and young professional events and keep in touch with contacts you meet. Work hard, and then ask for more. Smile! And be fiercely passionate in your work and your life! A lot of women in today’s workforce are also working mothers. Simone McNitt, Manager of Recruitment Services, shared what her secrets are when trying to find that work/life balance. Building relationships and making sure all parties involved are “in the know,” is what helps McNitt’s work/home life balance. “I think it’s important that you’re working to build relationships with your co-workers. Women are very nurturing and we all have the same goal, which is to be successful at home and at work. What’s great about women is we are all willing to help each other reach those goals,” says McNitt. With women being more comfortable with taking on leadership roles, raising a family and working and taking on financial help, women owned businesses are on the rise and here to stay.